sevilla12-2012 has no other items for sale. Details about Burberry Buckleigh Packable Burgundy Nylon/Leather Tote Shoulder Bag Purse EUC! Burberry Buckleigh Packable Burgundy Nylon/Leather Tote Shoulder Bag Purse EUC! 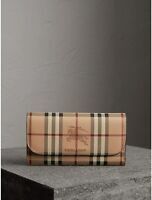 100% Authentic BURBERRY Wallet Retails for $495 plus tax! !